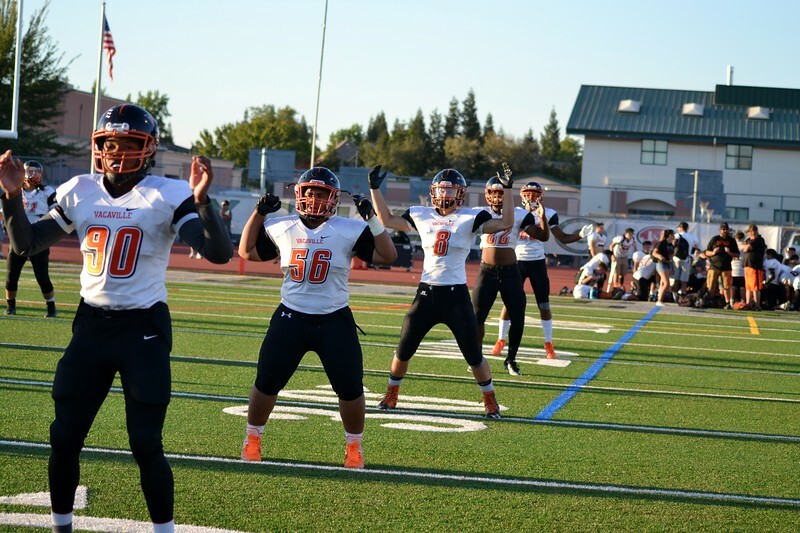 The Bulldogs (1-3) made the trek to Granite Bay to visit the Grizzlies but were unable to return home with their second consecutive preseason win. Despite a strong showing by the Vaca High defense in the opening half, the Sierra Foothill League powerhouse Grizzlies (2-2) were too much for the Bulldogs winning 31-0. Granite Bay, which owned a precarious 3-0 lead at the half, garnered nearly twice as many total yards by the end of the night as the Grizzlies totaled 248 yards (157 rushing, 91 passing). Vacaville ended the night with 106 yards on the ground and 28 through the air.